A home's roof keeps the structure underneath in good condition and everything inside of it protected. That is why the condition of your roof is so important. A roof replacement, when needed, should take top billing over any other home improvement project you have on your to do list. When is a simple repair no longer possible? How do you know it is necessary to replace your roof? Your local roofing companies can provide you with information to help you make this decision. They may consider a number of things. Take into consideration how old your roof is. The average life span of a roof ranges from 12 to 20 years. Depending on both the maintenance and upkeep of your roof. After this many years leaks and torn flashings start happening more regularly no matter what type of roof you have. The condition of interior walls that touch the roof is also an important factor. Warning signs can be seen clearly on interior walls when a roof needs to be replaced. Watch for these signs! If you have missing or peeling paint on interior walls you may have a new roof in your future. Moisture marks on your walls is a sign of water seeping down and a sign of big trouble. Being hit by snow, hail, rain storms, and direct sunlight again and again are major reasons for a roof to break down. Where do you live? If you are effected by more than one of these things it may shorten the overall life span of your roof. If severe weather has exposed part of your home a roof replacement may also be necessary. With this much damage a simple repair is no longer makes sense. The number of missing or torn shingles can factor in as well. When you have a big number of missing tiles and shingles on your house replacing the roof is the best decision, instead of choosing to repair it. Keep an eye on your electric or gas bill. A swing in your heating or cooling bills could signify trouble with your existing roof. If your attic is well insulated damaged shingles could be the cause of this. Questions or answers? Lets us know. Nearly all of today's home purchase contracts include a home inspection contingency clause, which is a provision allowing the buyer to hire a professional home inspector to thoroughly evaluate of the house and determine if there are any issues with its structure or systems. Once a purchase contract has been signed, the buyer can book a professional inspector of their choosing, whom they may or may not accompany during the two- to three-hour inspection. A typical home inspection includes a check of a house's structural and mechanical condition but can also encompass tests for radon gas, detection of wood-destroying insects and other services requested by the buyer. Back in 1976, the American Society of Home Inspectors (ASHI) standardized the home inspection process and established Standards of Practice dictating what must be inspected as well as how far the professional home inspector needs to go to report their findings. According to ASHI, the ten critical areas for inspection during the process are the structure, exterior, roofing system, plumbing system, electrical system, heating system, air conditioning system, interior, insulation and ventilation, and fireplaces. 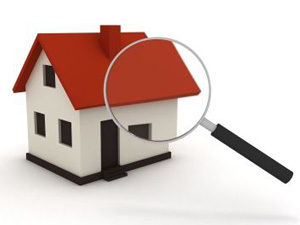 Once the home inspection is complete, the inspector creates a report for the home buyer detailing all that was found. This report will note problems requiring immediate attention and conditions that could lead to more serious issues over time. Once the home inspection is complete, the inspector will be reporting results only to their client, the buyer (a circumstance bound by law in many states). 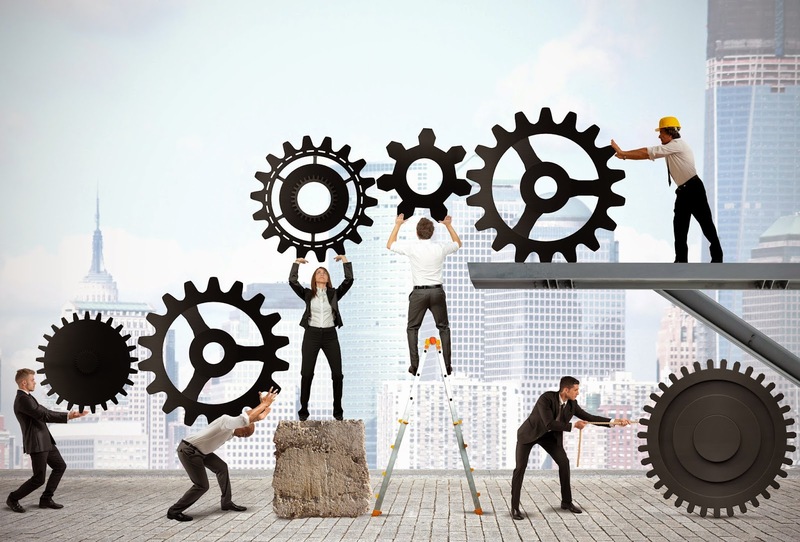 The discovery of major material issues─the kind of stuff that's a big enough deal to be a sale roadblock─may bring you back to the negotiation table, and should be the only impact on completion of the sale. A small hole in the wall is hardly a material defect, but if the house needs a new roof, that's material because somebody could decide not to buy a house if they knew it needed a large repair like that. Roof maintenance is something that any self-respecting homeowner should have some degree of knowledge about so that they can know what to do when a problem does arise. No one is saying that you have to be an expert handyman, but knowing the basics couldn't hurt. That way, when something comes, you'll know whether the problem can be easily repaired or if it's a serious issue that calls for the entire roof to be replaced. A home's roof, like a car or any other sort of mechanical device, needs periodic maintenance in order to it to do its job effectively. When maintaining a roof, you can often catch problems just as they start to develop. By catching these things early, you can keep small problems from turning into larger ones that might take a longer amount of time and extra money to correct. That said, there are some basic things to keep an eye out for when inspecting a roof for things that might need fixing. Guttering systems require maintenance to insure protection for your home. Make sure your gutters are free from debris, leaves, granules from shingles, birds nest. The extreme exposure to nature can also cause sealant failures. Snow & Ice can loosen fasteners and should be repaired immediately to prevent costly repairs. There are many different gutter materials to choose from, including steel, aluminum, vinyl, copper. Many types of gutters (steel and vinyl in particular) are sold in 10’ lengths and require dozens of seams fastened with slip fittings, each one is a weak spot and a potential leak site. Another alternative well worth considering is the installation of seamless aluminum gutters. Seamless gutters must be fabricated on-site by a professional contractor, something that we here at Above All Roofing do. 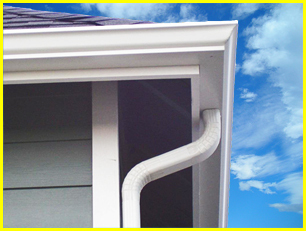 The term seamless gutters can be confusing because there are seams in the system. The seams are only at the corners and downspout outlets.These joints are fastened more securely and sealed for stability and leak resistance. The Seamless Gutter itself is continuous which makes them both strong and visually more appealing. If it is time to get a new roof, there are a variety of options to choose from. There are a few things to consider before you call a roofer and hire out the work to be done. What type of roof or material do you want? How much do you want to spend and how long do you want it to last? Does the roofing material match the style of your home? 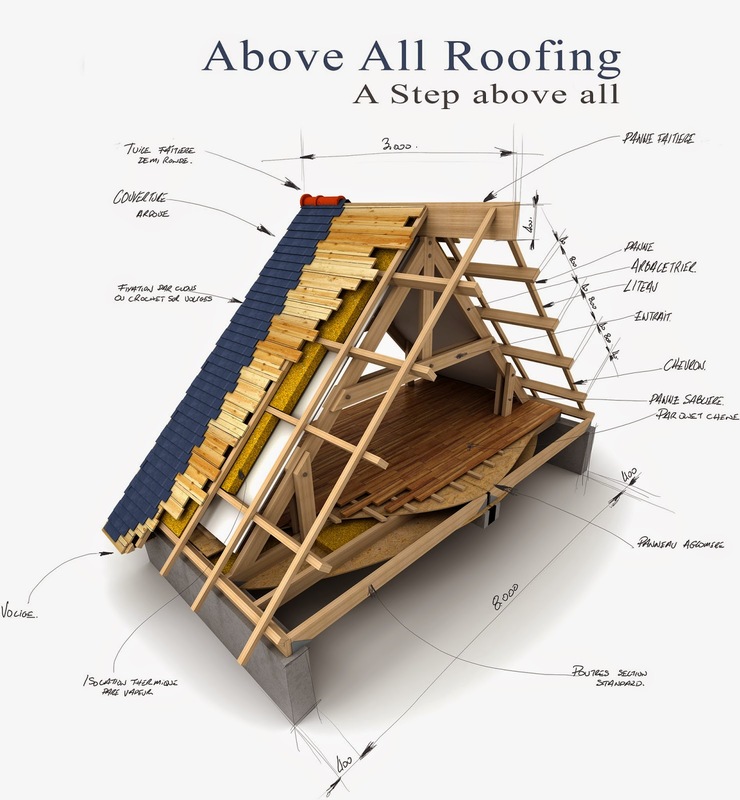 With these questions in mind, here is a breakdown of the types of roofs. 1. Engineered rubber or plastic roofs. These are made of reclaimed materials and come in a variety of colors and styles. They are estimated to last between 30 and 50 years and can be fairly cost efficient compared to other materials. It should work with any style of home. 2. Eco-roofs. These roofs are for the environmentally minded individual and work well with flat or slightly sloped roofs. It filters rain and is low maintenance. As with most environmentally friendly materials, it can cost a lot up front, but it is attractive and can extend the life of membrane used on the roof. 3. Hot asphalt with stones. This style of roof only works on a flat roof. It is inexpensive and easier to repair than other roofing materials but it is not environmentally friendly and can cause health problems from the fumes. 4. Reinforced concrete. It can work with almost any style of home. It comes in all kinds of colors and styles, is low maintenance and very durable. Once again, it can be expensive on the front end of things but that cost is offset by the durability and lifespan. 5. Asphalt roofs. Asphalt shingles can be used on any house and is inexpensive. There are lots of styles and colors. It is easy to repair and fire resistant. What you save in cost to install you lose in lifespan. It typically has a life-span between fifteen and thirty years and is not friendly to the environment. 6. Wood shingles. This style of roofing material typically works with cottage, ranch, and contemporary bungalows or historical homes. These are expensive and require professional installation. They are high maintenance but have a lifespan between thirty and fifty years if they are maintained and can offer some insulation. 7. Metal. These work with the same types of homes as the wood shingles. They are expensive because they are difficult to install but durable with a lifespan of at least fifty years. They are environmentally friendly and perform well against high wind and precipitation. These are a few options for roofs that you can choose. Call different people in your area for more specific prices as you are planning what you want and how much you want to spend. Whatever roof you choose, it will improve the look and feel of your house. The unfortunate thing about a leaking roof is that the symptoms of the problem never manifest until the rain begins to pour or the ice begins to melt. With any luck - if luck can be factored into the equation of a leaky anything - you will locate and address the leak at a time in close proximity to its advent. Otherwise, you may be looking at extensive, extraneous damages, and more than just roof leak repairs to address. A small, undetected leak in your roofing system can soak your attic insulation, seep into the wood of your home's frame and saturate your dry wall panels. It is important to keep in mind that your pots and pans belong in the kitchen, and they are made for cooking, not catching rainwater trickling into your home from some rooftop shingle gap or tear in your roofing membrane. So, when the rain stops falling and you remove your buckets from their sentry positions beneath your leaking ceilings, you need to pick up the phone and have a professional roofing contractor come and give you an assessment of the situation - and an estimate of your roof leak repairs. With any luck - again, if luck can be factored into the scenario - the leak itself and its related damages will be minimal. Putting off a phone call to assess damages earlier enough will only grow into bigger problems down the road. Get to know your roof: Two of the most important parts of the roof are the soffit and fascia. Part of the function of the soffit is to assist in ventilating the attic. The soffit typically features a plain design with small holes that provide air circulation. The air from the soffit cycles to the vents to draw heat and moisture away from the house. This is a highly important function because moisture in the attic can develop rot in the sheathing and rafters. 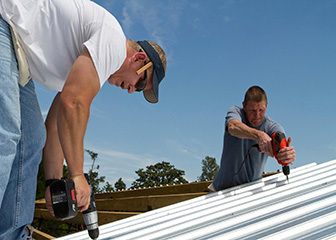 The fascia is a vertical finishing edge connected to the ends of the rafters, trusses, or the area where the gutter is attached to the roof. The primary role of the fascia is to act as a layer between the edge of the roof and the outdoors, and is meant to protect the wooden board against water damage that can occur during certain weather conditions. It's important to know the functions of these two parts, and Above All Roofing understands time is sensitive when either of these crucial aspects of a roof requires attention. Serving the Vacaville and the Solano County, let us take care of your roof for you. Did you know that just an inch of a summer rainfall pours close to 1500 gallons of water onto your roof? That’s why the performance of your gutters is so important to protecting your home. Waterfalls flowing over your gutters during a summer rainfall are a strong indication that you have clogged gutters – and clogged gutters can lead to some expensive home repairs. Your home’s gutters and downspouts are designed to move water down from the roof and away from your home and foundation for proper drainage. Water that can’t flow through your gutters finds the easiest path – and that often means the water comes right into your ceiling and walls. This can lead to moisture and mold if not treated. This may especially occur to homes left vacant while you are away on your summer trip. Invest the time to call Above All Roofing, and allow us to check and make any necessary repairs to you gutter and downspouts. W service of all Solano County including Vacaville. Many homeowners are not aware on how decide if it is time to replace there roof. For the average homeowner, it may not be visibly apparent that there roof is nearing it's life, and this is normal. If you are unsure whether your home requires a new roof or at least minor patching, consider calling an expert to inspect your roof for free. The following is an example of an extreme case where a simple roof inspection should have been completed years before. A roof collapsed at the St. Anne Country Market building in Kankakee Illinois, prompting the closure of St. Anne's downtown area along Station Street on Tuesday afternoon. An abundance of rainwater apparently weighed the roof down causing about a third of it to crash into the second floor. Don't let your home cave in before taking action and rectifying any issues your roof my have. Above All Roofing will get you a FREE INSPECTION and estimation. Call today and take a step towards protecting your family and personal belongings. 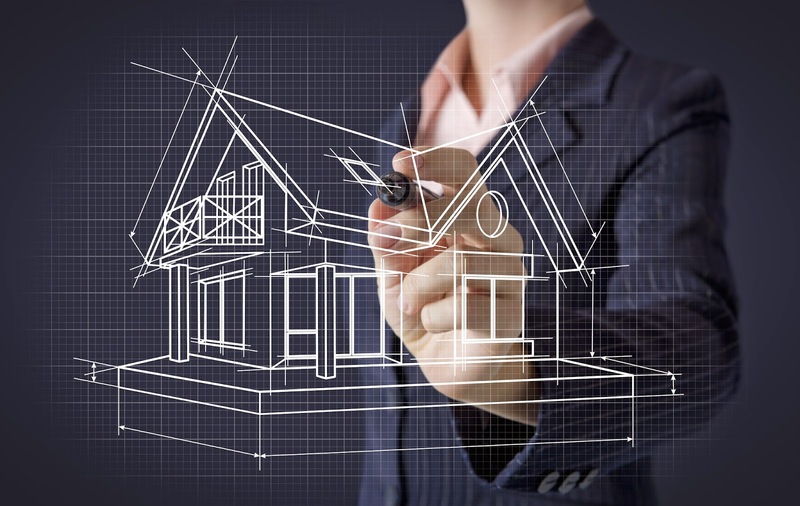 Planning on buying a new home? If you are in the process of purchasing a new home chances are it will be inspected by an appraiser, especially If you plan on purchasing via an FHA loan. Home buying inspections are usually conducted during escrow, and are geared to ensure the minimum requirements for what is considered a safe home are met, before it can be inhabited. So what is the appraiser looking for when it comes to the roof? For starters, the roof must do what it's designed to do--FHA and HUD regulations say it must not leak or allow moisture to enter the home. in order to pass the appraisal process, the roof must also "provide reasonable future utility, durability and economy of maintenance" according to the FHA official site. Rule of thumb is to not assume your roof is great condition because it passed an appraisal. If in doubt hire a professional to inspect your and determine how many years of your roof's life are remaining. Start off the journey to your new home purchase in Vacaville, or surrounding towns, by calling the professionals at Above All Roofing, and allow us to inspect your roof. We will fix what it needs... no more, no less. Although it has various terms to describe it, essentially it is a pipe for carrying rainwater from a rain gutter. Downspouts are usually vertical and extend down to ground level. Rain water is directed away from the building's foundation, to protect the foundation from water damage. The water is usually piped to a sewer, or directed into the ground. They are a fundamental component for the longevity and reduction of future costs to your roof. Whether you need your downspout fixed or replaced, give us a call today for a FREE quote. 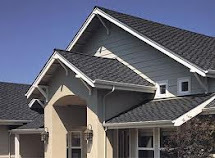 Above all Roofing services Vacaville and the surrounding Solano County cities. Avoid unwanted costs this Spring season. Call in the experts to inspect and fix, or replace, potential hazards. Whether it be in Vacaville, Fairfield or anywhere in the Solano County. Your roof matters, and we are here to assist. Whether you've just purchased a new condo, apartment or affordable home, chances are your new investment may have minor, some not so minor, issues that need to be fixed. All tangible things eventually dwell and decay with time, and roofs are no exceptions. Most apartments and homes in Vacaville and the Solano County area are equipped with attics sustaining plenty of storage place, and we utilize this space for our family heirlooms and out of season items. Protect your family values from damage by protecting your roof. Let the experts at Above All Roofing Inspect your roof today! The safety of your family is very important, and maintaining a strong and shielded roof is imperative for many reasons, including preventing unnecessary residential accidents. The long term costly affects of injuries caused by roof defects may be more bearable then the average household can sustain. Working on roofs can also be hot and overly demanding, so let the professionals inspect your roof and rectify the necessary changes crucial for a safely structured home. Roofing estimates are needed to give you an idea on the amount of money that is needed to repair your roof or replace it when it is damaged. We all know that roof damages and wear are inevitable, and at a certain point, you'll need to have it repaired. The problem may get worse if you do not find solution immediately. A worsened roofing problem may cause you to spend more than the amount that you have prepared. To avoid more problems, you must have the right information on the things you need to do. Above all Roofing Company in Vacaville are experts and can provide quick and reliable information to get your roof inspected and fixed.